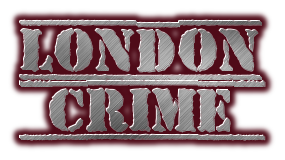 In September 1911, two defendants, following a large gang fight, were stood together in the dock of the magistrate's court in Old Street, London. One of the defendants told the magistrate that an armed gang of men were waiting outside for the two men, in order to murder them. A police inspector at the court called in Scotland Yard. A daylight gun-battle between the police and the gang then ensued. Eventually, five men were arrested in what later became known as the 'Vendetta Case'. One of the five men arrested, and the leader of the gang, was notorious East-End gangster, Arthur Harding. Harding, born 1886, grew up in an area of east London known as The Old Nichol or 'The Nichol'. 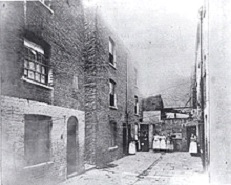 The Old Nichol was an area located between Shoreditch High Street, Spitalfields to the east and Hackney Road to the North. The reputation of 'The Nichol' came from a famous book written by Arthur Morrison called 'A Child of the Jago'. That public attention has at last been directed to the condition of the poorer neighbourhoods of Bethnal-green is attributable to the evidence of the medical officer who, at an inquest held on the body of a child, declared that death had been caused by 'blood-poisoning,' through the impure state of the dwellings in a certain locality. That a wide and populous district has for years been subject to all the foulest influences which accompany a state of extreme filth and squalor may be due to the fact that private moneyed interests have had little to fear from parochial authority, even when they have not been represented by the same individuals. The disgusting details which have lately been revealed to that portion of the public who have only heard of Bethnal-green as a low neighbourhood where the weavers live, somewhere in the far east of London, have been the steady growth of years. Those whose duty it has been to point out their inevitable consequences have treated them with indifference, or have suffered themselves to hope that some more powerful authority would eventually compel the alterations which they have faintly suggested. But 'threatened men live long;' and even now the owners of the putrid sties in the purlieus of Friars-mount, in Thorold-square, in Twig-folly, and other centres of pestilence may well believe that neither board, nor commission, nor sanitary officer will trouble them if they can only let inquiry itself die, and so contrive to hush up the whole matter until the passing excitement is directed to some new object. Anybody whose acquaintance with Bethnal-green commenced more than a quarter of a century ago will remember that some of these names of streets and rows which now seem to have such a grimly sarcastic meaning expressed not inaptly the places to which they originally referred. Hollybush-place, Green-street, Pleasant-place, and other neighbourhoods, which now consist of ruinous tenements reeking with abominations, were outlying, decent cottages, standing on or near plots of garden ground, where the inmates reared prize tulips and rare dahlias in their scanty leisure, and where some of the last of the old French refugees dozed away the evenings of their lives in pretty summer-houses, amidst flower-beds gay with virginia stocks and creeping plants. At this time, and before the present main road was formed to supersede the old Bethnal-green-road, which lies nearer to Cambridge-heath, this district was but a sort of country extension of Spitalfields; for Spitalfields had begun to assume the appearance that it exhibits now that its worst features have been exceeded by the wretched maze of streets and alleys which have built all greenness, except that belonging to rottenness, out of Bethnal. It may be remarked that the worst parts of Bethnal-green are not those inhabited by weavers, and that wherever the weaver is found his personal cleanliness and the tidiness of his poor room offer a striking contrast to those of many of his neighbours. His work requires a 'long light' or leaden casement, so that he most frequently occupies garrets originally designed for his trade. Poor, suffering, nearly starved, and living in a house which shares with the rest the evils of bad or no drainage and insufficient water supply, his business requires at least some amount of personal cleanliness, or the delicate fabrics on which he is employed could never come out unsullied from the touch of coarser hands. Skirting the station of the Great Eastern Railway in Shoreditch, and traversing Club-row - the Sunday morning resort of pigeon and bird fanciers - the earnest visitor has only to cross the road and turn up Nichols-row, to find himself in as foul a neighbourhood as can be discovered in the civilised world (savage life has nothing to compare to it), and amongst a population depressed almost to the last stage of human endurance. Should he have started with an impression that report had exaggerated the misery of these dwellings he will, if he have the heart - and, let us add, the stomach - to inspect them, prove that no allowable strength of language could do more than adequately express the condition of the dens which surround Friars-mount. It is true that several of the main thoroughfares, though dirty and ruinous enough, do not indicate externally the teeming and filthy rooms, which can only be appreciated by a closer inspection. Even though here and there a falling tenement is propped up by a shoring-beam to prevent the wall from bulging over into the street, there are still the remains of poor respectability in some places; and ragged, dirty children, and gaunt women, from whose faces almost all traces of womanliness have faded, alternate with the clean-looking and even well-dressed families of some of the shopkeepers. Let the traveller penetrate further, and he will enter upon a maze of streets each of which is a social crime, and each of which contains tributary hovels many degrees worse than itself. They are not always easy to find, since, if they have ever had any names, the names have been obliterated except from the memory of the police and the City missionary, the doctor or the landlord; and the entrance to most of them is by a covered alley not wider than an ordinary doorway - nay, sometimes so narrow that a brewer's dray-man would be compelled to walk in sideways. At the end of this blind court there will be found either a number of black and crumbling hovels forming three sides of a miserable little square, like a fetid tank with a bottom of mud and slime; or an irregular row of similar tenements, mostly of four small rooms, fronted by rotten wooden palings. In either case there are three peculiarities which are common to the great part of the whole neighbourhood. The miserable rooms are underlet and teeming with inhabitants to an almost inconceivable extent. The water for some fourteen or fifteen houses is frequently supplied from one tap in a dirty corner, where it runs for only a short time every day; and the places are mostly undrained. Add to this the decay of vegetable matter, the occasional evidence of the presence of pigs from adjacent houses which have back yards (these have none), and that sickly odour which belongs always to human beings living in such a state, and the result will represent a score of places extending over Bethnal-green parish for more than a mile in length and half a mile in breadth. This district of Friars-mount, which is nominally represented by Nichols-street, Old Nichols-street, and Half Nichols-street, including, perhaps most obviously, the greater part of the vice and debauchery of the district, and the limits of a single article would be insufficient to give any detailed description of even a day's visit. There is nothing picturesque in such misery; it is but one painful and monotonous round of vice, filth, and poverty, huddled in dark cellars, ruined garrets, bare and blackened rooms, teeming with disease and death, and without the means, even if there were the inclination, for the most ordinary observations of decency or cleanliness. In the neighbourhoods where the inhabitants follow poor trades the condition is but little better: a few streets where there is a more cleanly appearance do but lead to a repetition of the horrors just witnessed; and from garret to cellar whole families occupy single rooms, or, if they can find a corner of available space, take a lodger or two. In some wretched cul de sac, partly inhabited by costers, the fetid yards are devoted to the donkeys, while fish are cured and dried in places which cannot be mentioned without loathing. Bandbox and lucifer-box makers, cane workers, clothespeg makers, shoemakers, and tailors, mostly earning only just enough to keep them from absolute starvation, swarm from roof to basement; and, as the owners of such houses have frequently bought the leases cheaply and spend nothing for repairs, the profits to the landlords are greater in proportion than those on a middle-class dwelling. The visitor who, after having threaded the labyrinth of Friars-mount, remembers that it is principally to Thorold-square that attention has been called, will wonder in what that place can be worse than the neighbourhood he has just left. The truth is, that it is in nothing worse - nay, is many degrees betters, since it is approached from the main road; but that such a den should for so long have been suffered to open from a broad public thoroughfare is in itself a pretty good evidence of what must be the condition of the old places which are hidden in almost unexplorable corners. Thorold-square is a repetition of these, but on a large, lighter, and airier scale. It is true that it is muddy, that its houses are ruinous, and that the rotten, ruined, wooden pump, stuck full of nails, which adorns its filthy area is a pretty good representative of the usual water supply. It is equally true that on entering it from the main street the visitor will feel a sickly feeling creep over him, and would, if he were previously hungry, discover within himself a sudden loathing for food and a desire for strong drink. But Thorold-square is by no means an unfavourable specimen of Bethnal-green, although the parish authorities are making much of it, as though for its condition alone they had been liable to censure. This impression is still further increased on reaching Hollybush-place, where the poor shoemaker, who occupies a garret with his family, has lost two children by disease which has been directly attributed to the impure air. It is with reference to Hollybush-place that the Inspector of Nuisances took exception to the inaccuracy of a report which was current to the effect that a shed of sixty cows was only nine feet from the house where the shoemaker's children died of putrid fever, and that pigs were also kept close by. He declares that there were but fifty cows, that the shed was some eighteen feet from the house, and that pigs have not been kept there lately. Taking this correction for what it is worth, the visitor will have remarked on his journey several stifling localities where, amongst the crowded hovels, pigs are very evidently kept, and add their filthy exhalations, ay, and their special diseases, to the general abominations. As there are also several cowsheds and not a few slaughter-houses in this eastern portion of Bethnal-green, which, in the district of Twig-folly, and all that neighbourhood, rivals Friars-mount itself, and has horrible peculiarities of its own, it might be useful to inquire to what purpose the animals are ultimately applied. There can be no necessity for stall-fed cows in this particular district, since all the milk consumed (and there can be but little in proportion to the number of inhabitants) might readily be sent from the country by the Great Eastern Railway to Mile-end station, and there delivered to the dealers. It is scarcely too much to say that stall-fed cows huddled together in filthy, undrained sheds, in the midst of fever-haunted houses, must yield milk of a very inferior quality, but both cows and pigs suggest a more startling consideration. It is the custom when cows 'go off their milk' to exchange them for others; but what of the instances where cows either die or, being past yielding, are slaughtered? What of the pigs, which poison if they are not poisoned in return by the foulness of their habitations? It is a significant fact, whether it has any relation to this inquiry or not, that all through this teeming neighbourhood of Bethnal-green the visitor will have noticed a surprising number of shops where the coarsest parts of meat seem to share the space with what butchers call offal. Cow-heels, bullocks'-hearts, kidneys, and livers, thin and poor-looking tripe, and sheeps-heads are amongst the uncooked portion of the stock; while the cooked viands are often represented by piles and chains of bruised, and often damaged-looking, saveloys, black-puddings, and a sort of greasy cakes of baked sausage-meat, known as 'faggots,' sold for a penny or three farthings, and made of the harslet and other internal portions of the pig. It is often the case that these shops have some display of joints of meat, often coarse, poor, and flabby-looking, but they bear no proportion to the staple trade. It would be curious to inquire how many Bethnal-green pigs, or if any Bethnal-green cows, ever find their way to a regular dead-meat market, there to come under the observation of an authorised inspector. Whether they do or not, the places in which they live must be removed, and this foul district must be purged, or our sanitary legislation is ineffectual, and all the wonderful sanitary schemes of which we have heard, and for which we shall have to pay so much, are but costly failures. Around late 1870, the street names of 'The Nichol' were changed. The names of the streets: Christopher, Collingwood, Mead, Nelson, Sarah, Trafalgar and Vincent, which were named in honour of Admiral Nelson, were changed in order to respect the memory of Nelson, so that his name wasn't associated with the slum area. In 1890, the recently created London County Council (LCC) declared 'The Nichol' to be a slum and decided to build a new estate by demolishing the whole area. LCC began clearing the slum in 1891 and two years later, in 1893, work started in creating the new estate. Seven years later, at the turn of the new century, in 1900, with 'Arnold Circus' at its centre - which was created using rubble from 'The Nichol' - the Prince of Wales officially opened 'The Boundary Estate'. Fast forward to 1975. Fellow east-end boy, author and socialist-historian Raphael Samuel interviewed Arthur Harding, by tape recorder, over a number of years, which culminated in Samuel's excellent book 'East End Underworld - Chapters in the life of Arthur Harding', some say it is essentially an autobiography, as it is comprised wholly of Harding's direct quotes. Harding did actually write his story in his own words, in an autobiography called 'My Apprenticeship to Crime'. In 1970, Harding sent a copy to the 'Institute of Criminology' at Cambridge University and one to his MP, Stan Newens. It was Newens who, in 1972, sent a copy to Raphael Samuels. Samuels was immediately captivated. 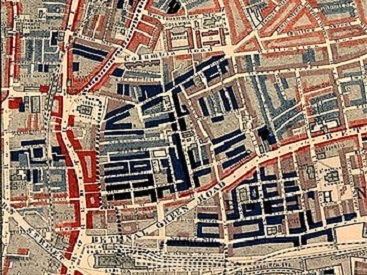 Over the next few years, Harding and Samuels established a relationship, with Samuels recording their conversations, resulting in 'East End Underworld'. The Bishopsgate Institute, located in London, are the keepers of Harding's' original wallpaper-bound, 'My Apprenticeship to Crime'. Fortunately, the book has been digitised by the institute. So, who better than Arthur Harding, in his own words, to tell you about his life? I'm sure he can cover it far better than I ever could. Click on the links and enjoy. "The early chapters of Harding's autobiography deal with his childhood, family life and upbringing in 'The Nichol' and Bethnal Green. It also describes his time as a Barnardo's boy, his early criminal activities, leading to his conviction for stealing rags in 1902, and conditions in Holloway and Wormwood Scrubs prisons. These chapters also deal with Harding's submissions to the Royal Commission on the Metropolitan Police in 1908." "These chapters of the autobiography paint a vivid picture of life in the East End, describing Russian anarchists and the Sidney Street Siege, along with depictions of characters Harding met in his criminal career of during his time in prison. Harding also details his recollections of the infamous 'Vendetta Affair' for which he was sent to Portland Convict Prison, and his eventual decision to turn his back on crime." "The final chapters deal with life after Harding's retirement from 'crime', his career as a wardrobe dealer and his continuing engagement with criminals and policemen from his past. The autobiography ends with Harding's views on criminality and his own analysis of factors that led to his life of crime."